AMMONNEWS - The Prime Minister’s Office at the Ministry of Cabinet Affairs and the Future received a government delegation from Jordan, which is visiting the UAE to review the country’s best government practices, as part of a partnership between the UAE and Jordan to update their government work. 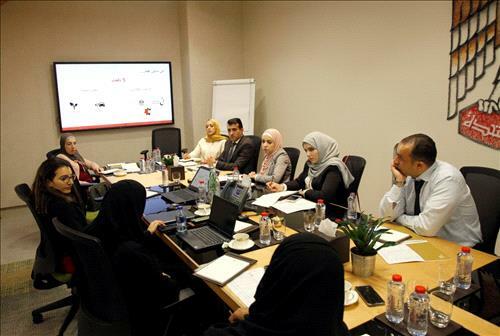 The visit aims to exchange expertise and success stories and identify the working mechanism of the UAE’s government accelerators, to support Jordan’s government work accelerators unit team, which was recently formed. Dr. Yasir Al Naqbi, Assistant Director-General for Leadership and Government Capabilities at the Prime Minister's Office, highlighted the importance of supporting partnerships, improving government knowledge, and exchanging expertise, experiences and successful practices among governments, which represent the vision of the UAE government to create an innovative Arab model based on sustainable development and ongoing advancement. He added that both sides are working with team spirit to develop an active knowledge-based partnership, which will accelerate the pace of government work and support relevant government programmes. The Jordanian delegation reviewed the best practices of the government accelerators headquarters, participated in several interactive workshops, and listened to an explanation by Huda Al Hashemi, Assistant Director-General for Strategy and Innovation at the Prime Minister’s Office, about managing relations between government bodies, how to create the organisational structure of a government accelerators unit, and the role of accelerators in creating innovative solutions to the challenges facing government work. The strategic partnership agreement between both sides includes designing and constructing the first government accelerators centre in Jordan, to help achieve the "Jordan Vision 2025."